Promote your organization’s open positions using professional, attractive, online job advertisements. Standard job postings appear in the job search results for 30 days. Job postings often provide candidates a first impression of your organization. The messages you convey can persuade or deter talent from applying. So, entice candidates to apply to your organization by providing them information that is specific to their interests and needs. Align the look of your job postings to your organizational brand by adding your logo to your posts for 30 days. Reinforcing your brand is a critical component of attracting talent. Brand awareness will help your desired candidates understand your organization’s culture and values. 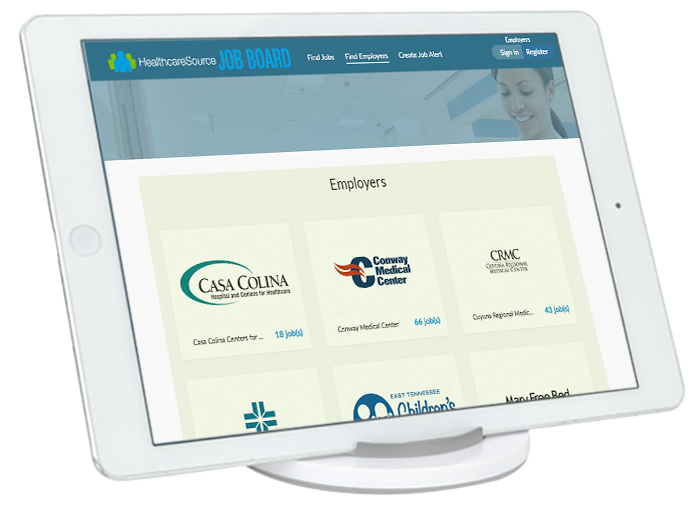 Adding a logo to your job posts will increase your brand’s recognition within the healthcare talent landscape. 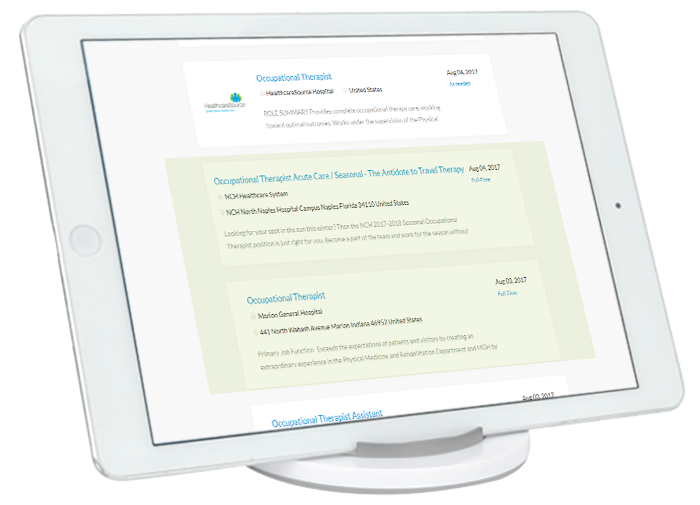 Elevate the visibility of your job postings by boosting them in the job search results for 30 days. During this time, your job postings will also be emphasized with a bolded, blue line. To convert candidates into applicants, you need to ensure your jobs can be easily found in the search results. Few candidates will click beyond the first page of search results, so if you want your job postings to be seen, make sure your posts are among the top listings. The added visual component of the blue line will also help grab candidates’ attention. 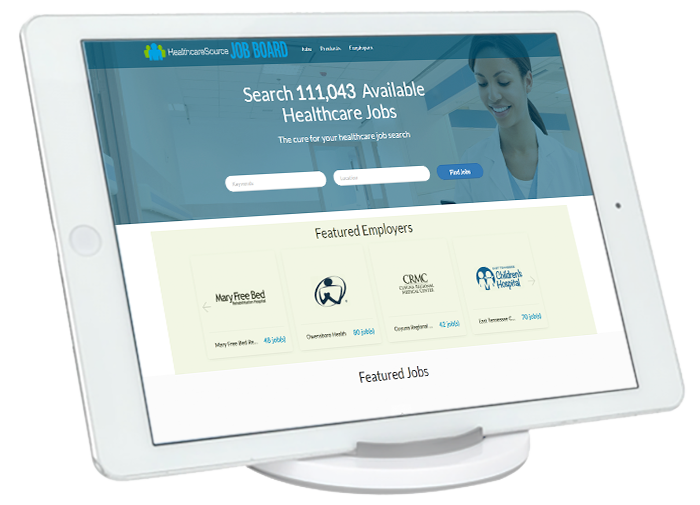 Designed to attract maximum exposure from the best talent in the healthcare industry, Featured Job Postings are included in the Featured Job Posting rotation on the home page of HealthcareSource Job Board for 30 days. 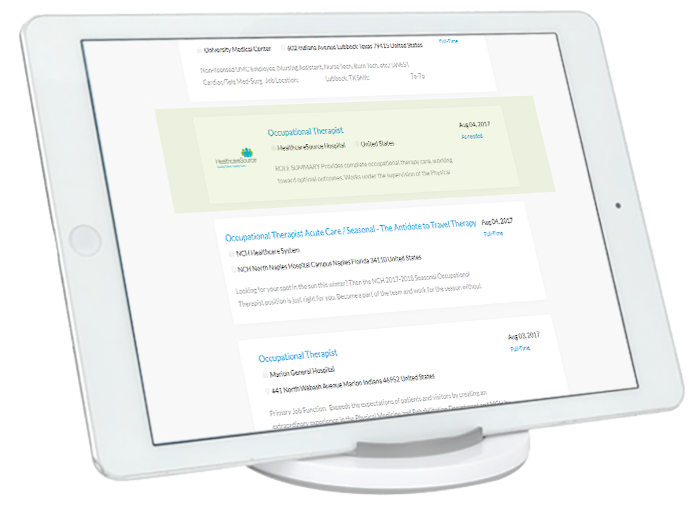 Placing your job post on the home page will give candidates immediate exposure and access to your most critical-to-fill positions. Don’t make them waste time trying to find their dream job — put your position front-and-center so they can easily see whether yours is the “right” fit. Help candidates learn more about your organization, culture, and values by creating a Company Profile, visible to candidates for one year. Strong candidates conduct research on an organization throughout the candidate journey. To ensure your target candidates want to learn more about jobs (and apply), you need to provide information on your organization that is interesting and pertinent to their specific interests and needs. For example, 49% of candidates believe company values are the most valuable marketing content*, an increase of 15% from 2016. As such, using a Company Profile to communicate your organization’s mission, vision, and values is a great way to help candidates assess their potential fit within your organization. Get closer to candidates and stand out from the competition. 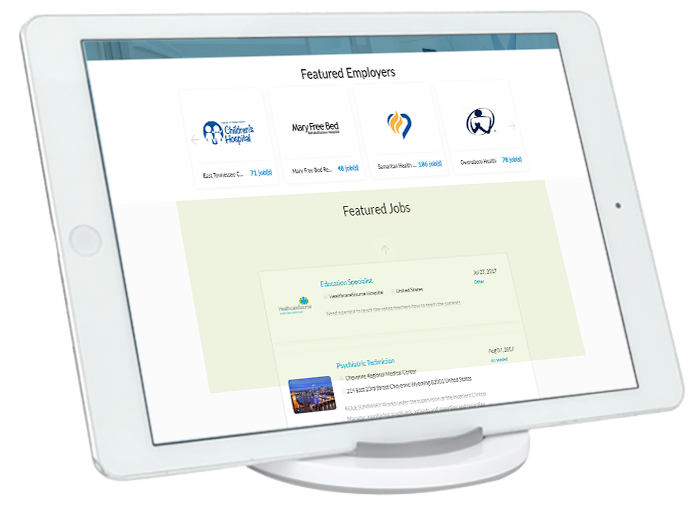 As a Featured Employer, you can showcase your organization through a Company Profile AND a spot in our Featured Employer rotation on the home page of HealthcareSource Job Board, both visible to candidates for 30 days. The candidate journey begins with awareness. Ensuring your organization is easily discoverable will help candidates become familiar with your organization and eventually lead to brand recognition and recall. Candidates who have a previous relationship or familiarity with an organization will inevitably be more curious about employment opportunities than one who has never heard of your organization. 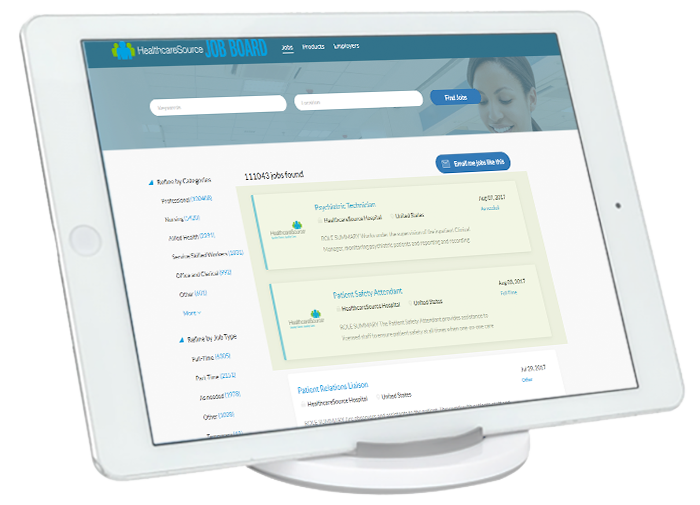 Contact us at solutions@healthcaresource.com to learn more about subscription-based pricing options as well as branding and banner advertising opportunities.